PS. If you are using a NMBU-computer the portal should be located as a shortcut on your desktop. 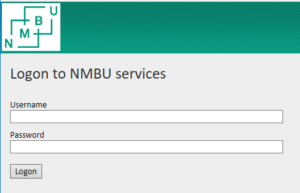 Start a browser and navigate to https://portal.nmbu.no and sign in using your username and password for NMBU. If you are outside of campus you can elect to sign in using a one-time password to gain access to all services. Without the OTP you will be able to use the basic tools such as Home Office. If you do not have a phone number saved to your profile please contact Human Resources. After signing in and selecting the service you need you will get a shortcut which you can open to start the remote service. Note that this shortcut is locked to the browser session and you can not use it again later or the next day. You need to sign in to portal.nmbu.no again to get a new shortcut. The standard Home Office-service will open as a full-screen windows desktop once you click connect. 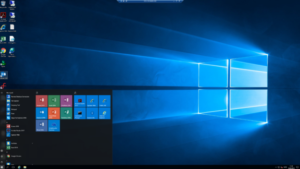 Click on the start menu to access the most commonly used programs. 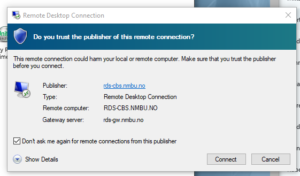 This entry was posted in IT-documentation and tagged Home office, Remote Office, Windows on February 25, 2014 by Henrik Michelsen.